What's The Next Great NYC Museum? A unique partnership in collaborative education between the Museum of American Finance (MoAF) and Stuyvesant High School, sponsored by Placer Partners / The Putney Financial Group and with generous support from GWG Life. The challenge for institutions today is the pressing relevance issue of relevance: how does an institution become relevant in the lives of today's youths and how can youths connect with that institution? What if the answer was simple? And that's exactly what two exceptional New York City institutions did. Placer Partners / The Putney Financial Group, with the support of GWG Life, opened the door by creating an invaluable partnership between the students of Stuyvesant High School and MoAF. This special project had a multi-faceted mission: to give high school students the opportunity to create promotional films for MoAF which highlighted both MoAF and Stuyvesant High School's strength as leaders in education. 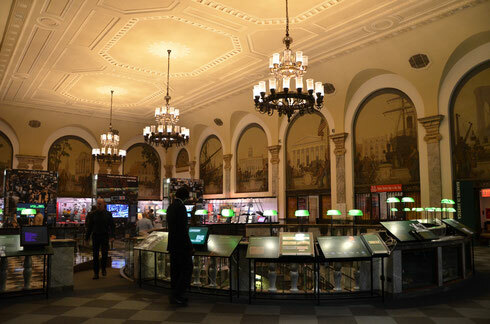 Through the support of the private sector, the students of Stuyvesant High School achieved a deep understanding of the museum as a civic organism, and in the process, learned critical interviewing skills, high level film and video editing techniques, analysis of narrative structure, and the practice and principles of collaboration.